← Raffle Winner announced at Saturday’s Mother of Pearl Brunch!! 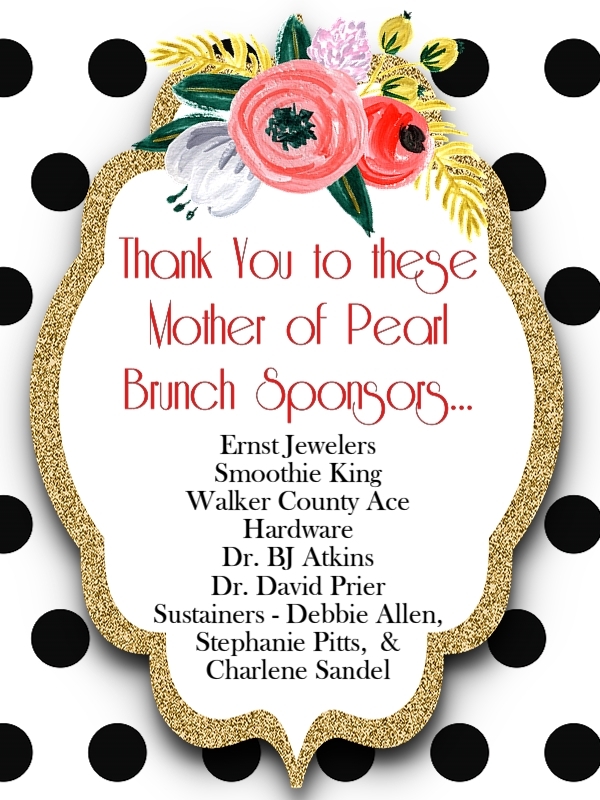 We are so thankful for all who attended and supported the 2nd Annual Mother of Pearl Brunch! It was an absolutely lovely event and we are happy to have shared the day with the sold out crowd. Without businesses and individuals extending special support, we could not be successful in our fundraising efforts or community projects, so THANK YOU to all who were involved in any way! Here’s a special shout out to our event sponsors. If you have a chance to stop by these businesses, give them a pat on the back for supporting JSL and our efforts to bring projects to Huntsville to help better our community. Stay tuned for more updates and pictures of the event!